DuPree's believes that every customer deserves reliable, comfortable and affordable transport. That's why DuPree's is the premier provider for private wheelchair transport in Greenville/Pitt County and the surrounding areas. You never have to struggle to get around - just call DuPree's! 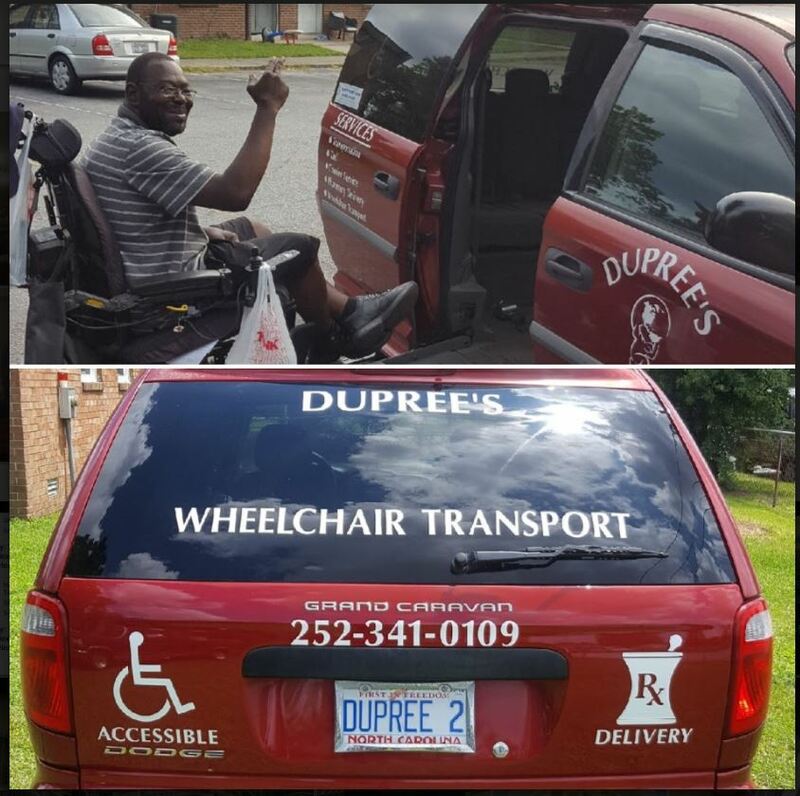 Whether it's basic transport or transportation for those with special needs - such as wheelchair transport service, DuPree's has got you covered. "Trust DuPree's to safely and reliably get you where you need to be!" Now offering wheelchair accessibility. 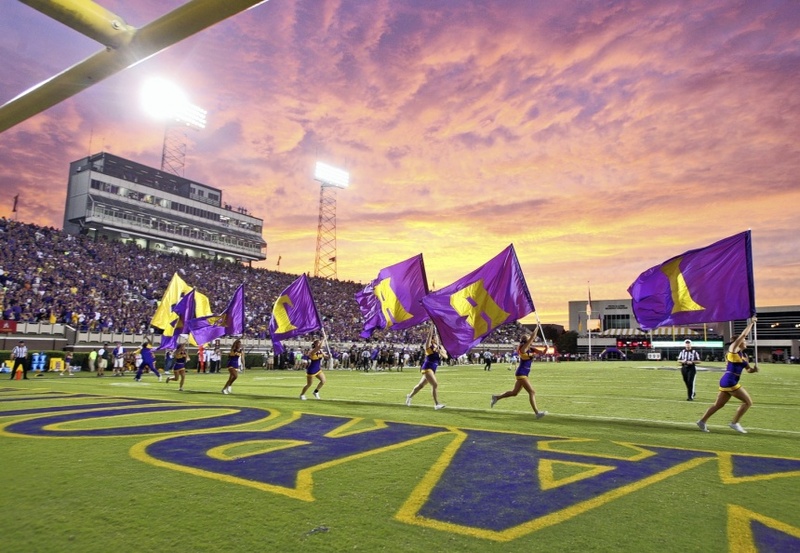 ECU sports are BIG in Greenville and the surrounding areas and DuPree's Enterprise knows this well. That's why many ECU students trust DuPree's. 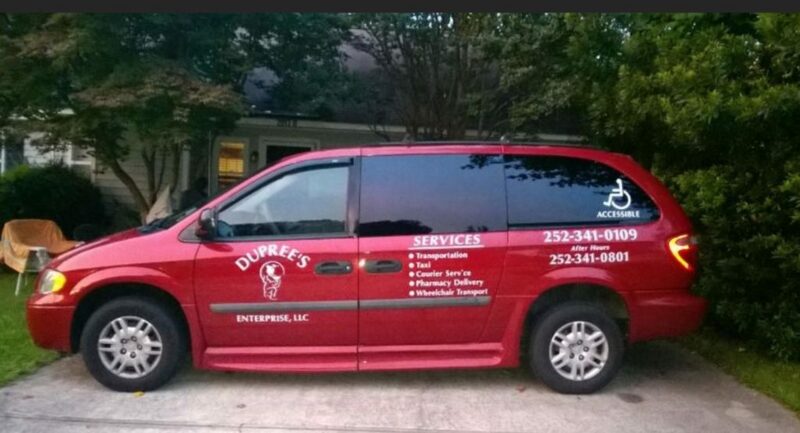 DuPree's Transport and Courier service drivers are some of the most experienced and knowledgeable in the area. There is rarely a place, business, or street you can name in the area that they haven't been to or through. 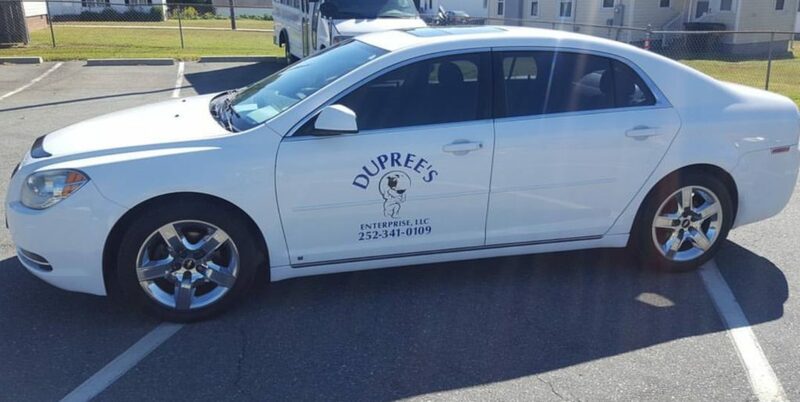 For safe, dependable, taxi service in clean, comfortable vehicles with drivers you can trust, DuPree's is the one to call. (252) - 341-0109 during normal business hours. After normal business hours please call (252) 341-0801. Family Owned and Operated. 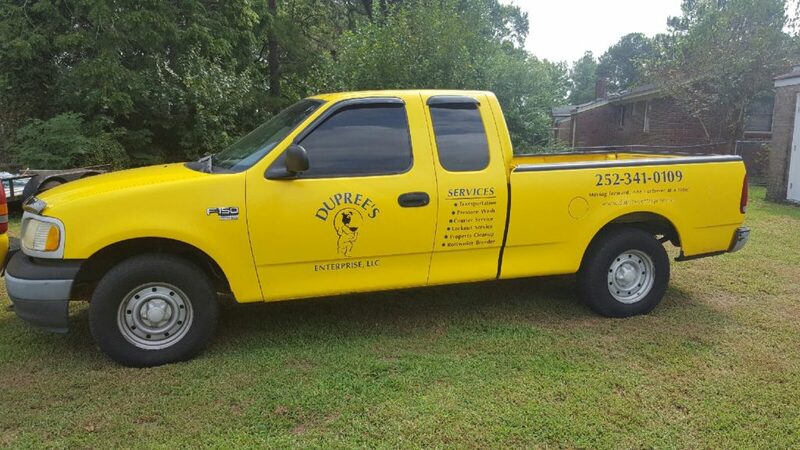 DuPree's has been providing Transportation services to Greenville and the surrounding area for over 20 years. Experience and knowledge of the area that is valuable and irreplaceable. Ask DuPree anything about the area and he can tell you the when and where. From Raleigh to New Bern just say where and DuPree's can get you there. Available 7 days per week 24 hours per day to service your basic and wheelchair transportation, delivery service and courier service needs. If you want reliable, clean and safe transportation anywhere in Eastern North Carolina give us a call. There is no better way to travel than in the trustworthy, capable and dependable hands of DuPree Transportation Service.